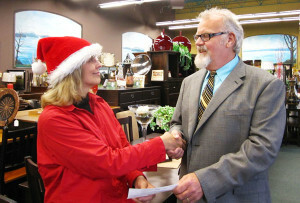 Our Business Partners make a difference in many ways. Sharing time, talents or treasure is what keeps our organization strong. 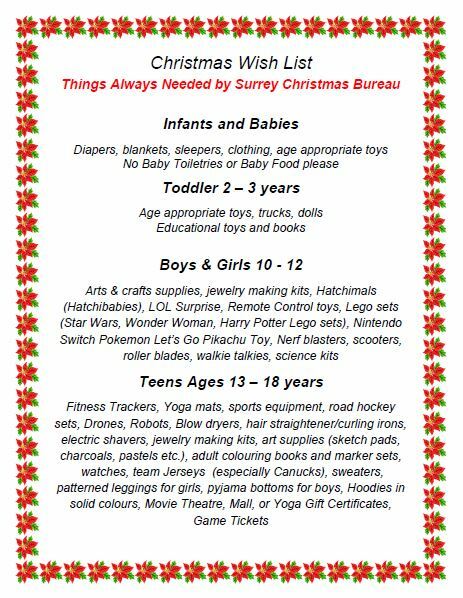 Each year, dozens of generous businesses contribute to happier holidays for Surrey children. 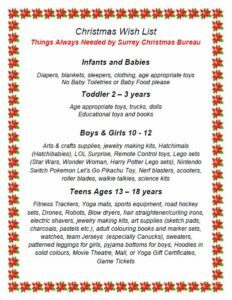 Holding fundraisers for the Surrey Christmas Bureau is also a great way to make an impact. Be creative! Use your company’s special talents to raise awareness and funds by hosting a fundraiser with your employees, families and customers. Toy drives, special sales days, visits with Santa and holiday-themed staff parties are just a few ideas. To get your company involved please contact us.